I hope you have started to love Tuesdays as much as we have! It’s another week of Featured Teacher Tuesday! Our Featured Teacher this week is Melanie Ebersole from Momma with a Teaching Mission! Melanie Ebersole is a 1st Grade departmentalized Literacy Teacher. She is also the Mom to 4 young children, 2 boys (ages 10 and 6) and 2 girls (ages 7 and 1). Melanie is currently in her 3rd year of teaching. She teaches at a school with approximately 700 students in Maryland. She worked in Human Resources for 5 years before finishing her teaching degree and pursuing her dream of teaching. Melanie always wanted to be a teacher, but with life happening, wasn’t able to pursue completing her degree until after having 3 children. You can read more about her journey HERE. Melanie has a passion for departmentalization. She did a guest blog on Rachel Lynette’s Minds in Bloom, you can read HERE! She also wrote another guest blog post on a blog she collaborates on Who’s Who and New, you can read about Why Teaching in a Departmentalized Classroom Rocks HERE. You can also read more about departmentalization within the primary classroom on her own blog HERE. 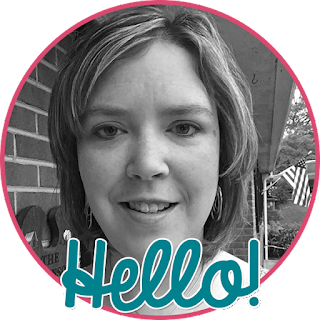 Besides running her blog, Melanie is also a TpT author! You can find her store at Momma with a Teaching Mission. Miss Independent CVC No Prep Printables. These are perfect for building your students independence stamina when working with CVC words. This bundle pack is perfect if you are teaching the common core. So many different options for games, homework, formative assessments, or warm-ups. This is the 2nd edition in homework packs’ that Melanie has created for her own classroom, that turned into a TpT project! You can find the 1st edition here! Her students love this daily homework pack, and it is simply a review of 1st grade material. Homework can be a hot topic, but these no prep pages take students only a few minutes a night! 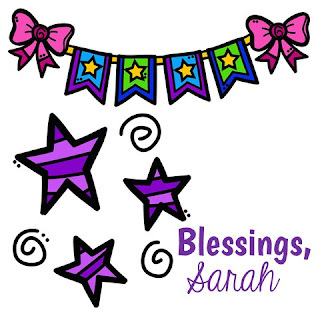 Thank you for joining me for this Featured Teacher Tuesday! Please check out Melanie Ebersole & don’t forget to join us next week for a new featured teacher!